Note: this is NOT a 2 bedroom apartment as stated. Just one bedroom plus a sofa-bed in the living room. It is comfortable and clean (though see below), fairly well-equipped (8 frying pans - if you like frying! - but no microwaveable cooking containers). TV with Italian channels only and no DVD or CD player. The kitchen is usable, but very cluttered, and having a dining table in the living room would be far preferable. The place is sufficiently spacious for two people; probably a little crowded for four. It has a pleasant outlook on a small square, with efficient window-insulation. The entrance and staircase to the apartment are, however, extremely off-putting. The heavy door is severely warped and requires a hefty pull/shove to open/close it - possibly beyond the ability of any rather frail person. The staircase is in an appalling state with nailed-together plywood panels holding back the crumbling plaster, a slightly rocky hand-rail and overflowing rubbish bins on the landing. Grocery shopping can be a problem. The one or two local "mini-markets" carry a very limited range of items and are ridiculously overpriced. The Co-op and Despar at the Rialto Bridge and the Punto Simply near the Campo S. Margherita are much better (though still not brilliant), but further away. The owner, Bruno, is congenial and was quick to reply, but he speaks only Italian and French, and he is rather disorganised and inconsistent in his responses. Right through to the end he was in error over the dates of our stay; he tried to charge us twice-over for the visitor tax (and got the sum wrong anyway); and, after our booking had been finalised and paid for, he demanded an extra 30 euros to launder the two sheets for the sofa-bed!! (Advice: take your own with you). Finally, however, given the comparable costs of accommodation in Venice, and notwithstanding my comments above, this represented reasonably good value for money. ... (as far as this is possible in this beautiful city)! Wonderful view from the living room on part of the small place, a bridge, and the Arte Musica Venezia. The apartment is big enough for a family of four. The kitchen is well equipped including washing machine, nice furniture and pictures in the living and bed room. There were enough clean sheets and towels but the kitchen and bathroom could have been a bit cleaner for us. We got helpful information from the owner before we arrived. The location of the apartment is great. 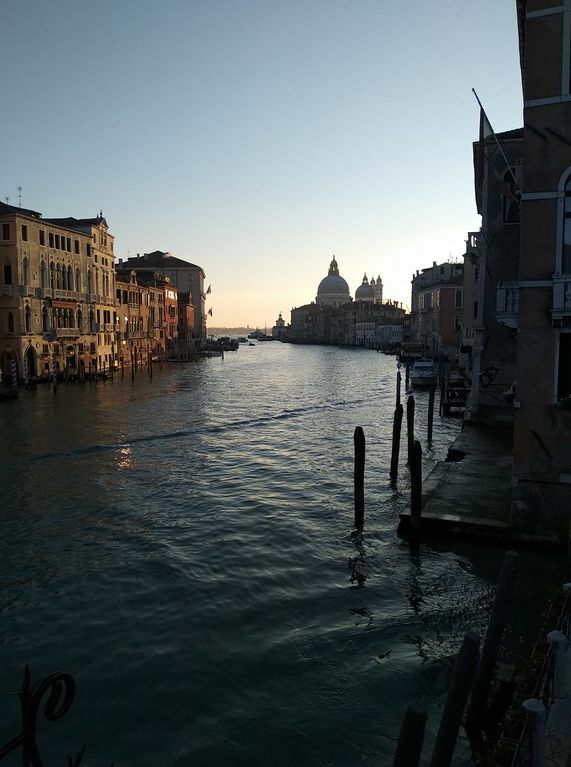 Easy walk to both St. Mark’s Square and the Academia (once you know the lay of the land!) Vaparetto stop is also very close. Apartment has a big living room with windows opening over the little square, and kitchen has all you need to do some cooking. It would help to speak Italian, as the owner (Bruno) communicates in Italian, not English. The entry to the building is in the proceed of (or in need of) some significant renovation, and the front door to the building took some “manpower” to get open and closed (it’s a very old building). The electrical outlets in the apartment were also a little loose, but there were plenty available. Apartment was a bit dusty when we arrived, and someone else’s soap remnants were still in the bathroom. AC non-functioning (leaks & floods the main bedroom, "AC" in living room is actually a fan), therefore we had to sleep with the windows opened. Tons of mosquito bites, very hot & noisy at night, no rest. Appartment isn't well maintained (shower drain non-functioning, bathroom window hanging on one hinge, musty smell). Downstairs main door not secure, garbage left in dark hallway. Overall, very disappointing. Location is good, though (although it was very difficult to find). Mattress in master bedroom was comfortable. Would recommend staying elsewhere, too expensive for what you get. Even staying on one of the nearby islands would be better (Lido has a beach), easy to get into Venice by vaporetto from there. Appartement idéalement situé pour visiter Venise. Nous avons passé une semaine formidable,il y a tout le confort ,nous avons été bien accueillis par Daniela et le propriétaire est très aimable au téléphone. Nous conseillons cette location et reviendrons avec plaisir. I miei Ospiti sono sempre ben accetti ed io assieme alla mia collaboratrice Daniela saremo sempre a loro disposizione ! L'appartamento e ben situato e ci troviamo l'essenziale in un arredamento elegante. C'è abbastanza spazio, noi non siamo rimasti molto nell'appartamento. L'unica cosa che mi ha dispiaciuto è il copriletto che è piuttosto vecchio.